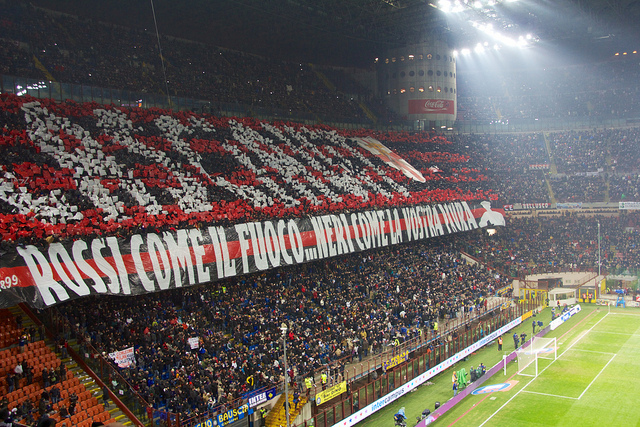 This weekend sees one of the most eagerly anticipated games in Serie A – the Milan derby! Since the first time these two teams met on October 18th 1908, they have met a further 278 times. As it stands AC Milan leads the head to head record with 108 victories, compared to Inter’s 98 victories. 73 games between the two sides ended in a draw, including the most recent game, a 1-1 draw in February 2013. To better prepare for the first meeting of these teams this season, we used our stats from the season so far to get a better indication as to what we can expect from this game. In a change from previous years, both Milan teams find themselves somewhat off the pace in Serie A. Inter are in 5th place, 15 points behind leaders Juventus. AC Milan are even further adrift in 10th place and a massive 23 points off the top of the league. Despite being so off the pace, Inter do come into this game with one of the strongest attacks in Serie A. No team has scored more goals than the Nerazzurri in Serie A this season whereas only 4 teams have conceded more than AC Milan so this game is already setting up to be a goal fest. Starting off with AC Milan’s defensive players, we saw that all four Rossoneri defenders, as well as their defensive midfielder lose possession in extremely dangerous situations on 2.6 occasions per game. When one contrasts this with the same players in the Inter team, we see that they only lost possession on 0.85 occasions per game in these sorts of situations. When faced with a high risk situation, 10% of Milan’s defensive actions are bad whereas only 5.5% of Inter’s actions in similar scenarios were considered bad. One thing that has saved Milan from further embarrassment is the form of their keeper, Christian Abbiati. Out of the 3.5 shots per game that he faced, his actions in 25% of them were good whereas only 17% were bad. Unfortunately for Milan, he is unlikely to play and thus reserve keeper Gabriel will take his place. In his games, Gabriel has faced 3.8 shots per game but has a 13.04% positive score whereas 21% of his actions when faced with these shots were bad. This will put further pressure on an already under pressure defence. When looking at the two teams as a whole, we see that Milan lose possession on 52.7 occasions per game whereas Inter have only lost possession 45.8 times per game. There is no doubt that Inter’s ability to hold onto the ball more has made them more of an attacking force than their great rivals. Ironically enough, Kaka from Milan creates more chances per game (2.4) than Ricky Álvarez who is the main chance creator of Inter. The most important stat when it comes to attacking actions is that Inter find themselves in a situation where they either take a shot or could take a shot 12.26 times per game whereas Milan only have 10.3 of these such chances per game. Of Inter’s chances, 38% of them can be considered to be high risk chances whereas only 30% of Milan’s can be considered to be that. That being said, both teams have an on target percentage of 34%. 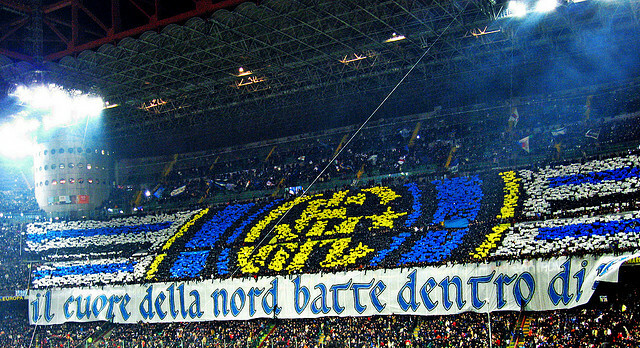 Inter’s potent attack, coupled with Milan’s struggles in defence should tilt this match in Inter’s favour. This game is considered a home game for Inter Milan so that should further enhance their tags as favourites in this game. Should Milan wish to get anything from this game, they will need to shore up their defence and hope that both Kaka and Mario Balotelli can perform to their respective abilities. Either way, it should be a cracker and we can expect there to be loads of goals being scored!